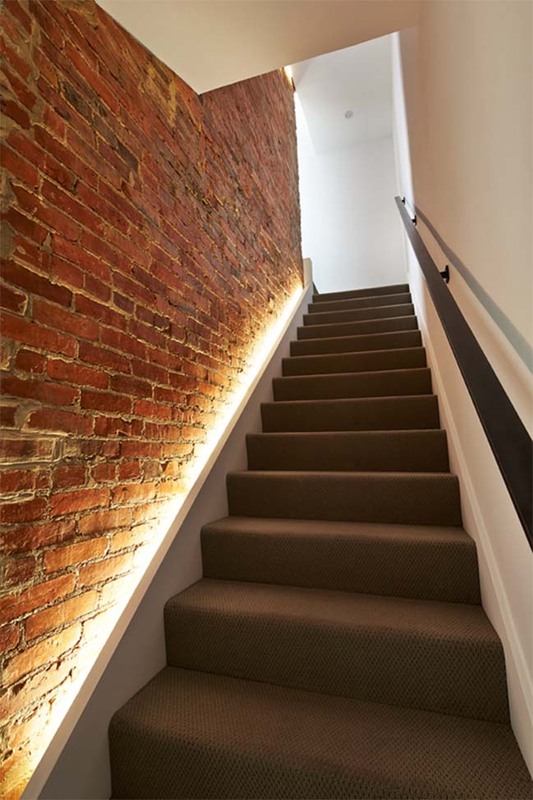 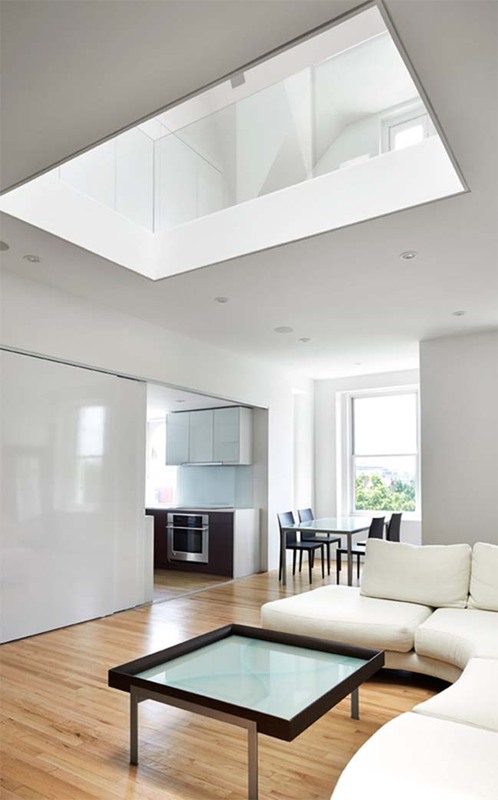 Sky Loft is a two-levels loft in Dupont Circle that was completed by KUBE Architecture to transformed into open space filled in natural light. 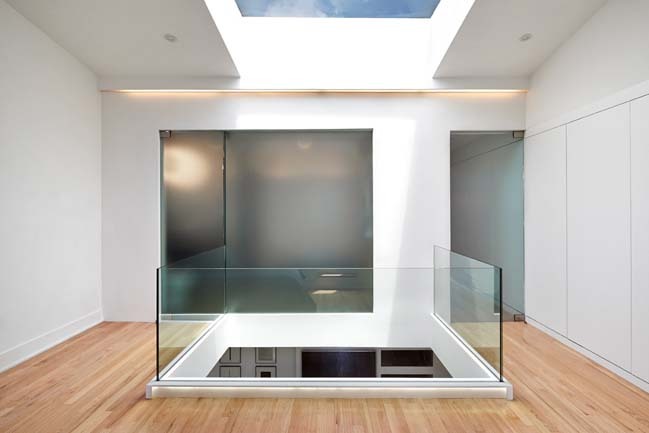 According to the architects: The verticality of the existing living/dining area is enhanced with a large opening in the floor above, which was made to feel larger with a frameless transparent glass railing (replacing a previous drywall enclosure). All ancillary rooms (kitchen, bathroom, closets, and staircase) are “hidden away” to preserve the purity of the primary two-story volume. 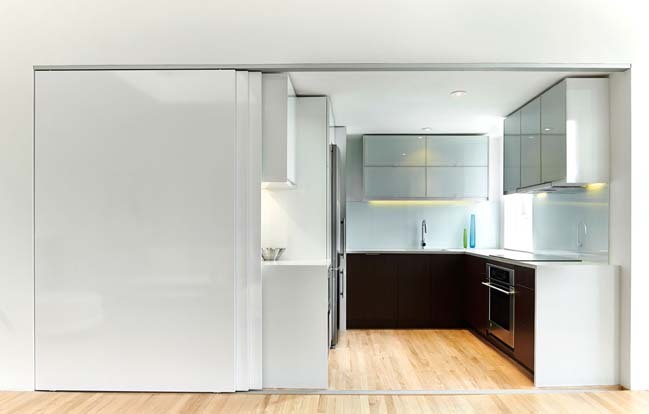 The kitchen was enlarged for function, and can “disappear” behind sliding doors. 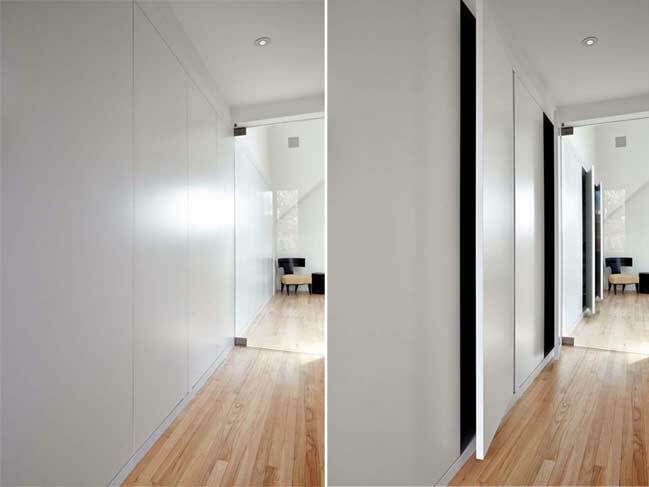 Decorative shelving can also be exposed or hidden away. 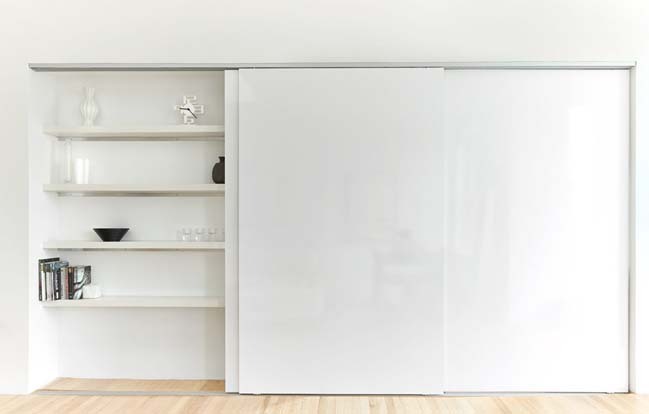 On the second floor a line of closets that runs the length of the apartment are concealed behind white pivot doors, allowing for a great deal of unexpected storage. 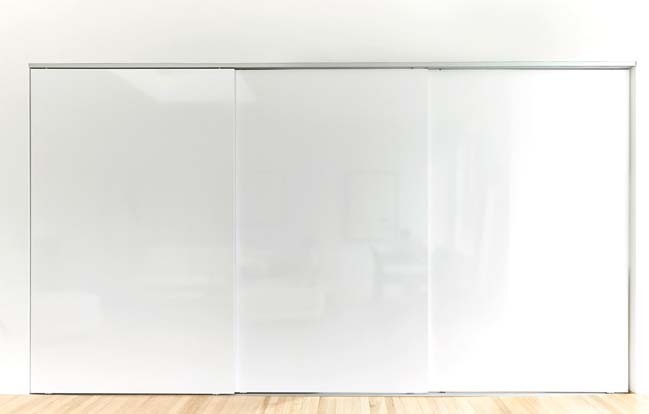 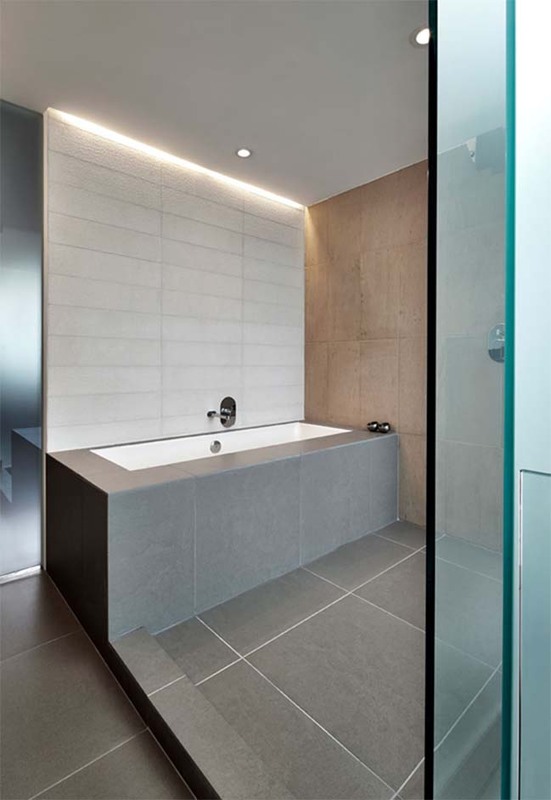 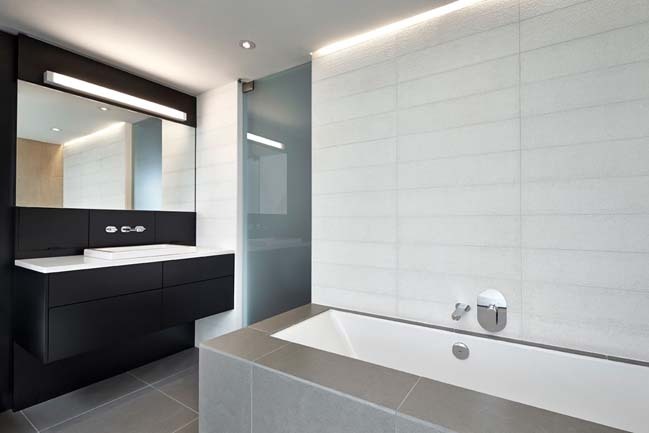 The master bathroom is veiled behind large frosted glass panels, which serve as a visual focal point from the living room space below. 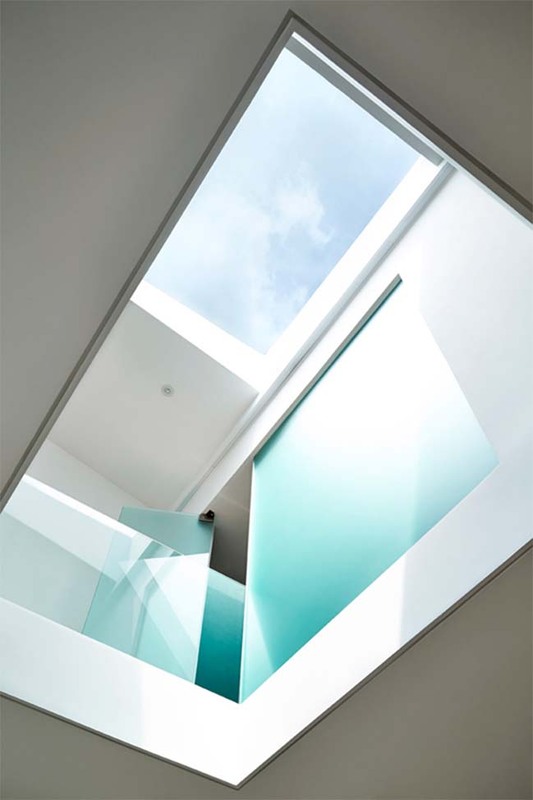 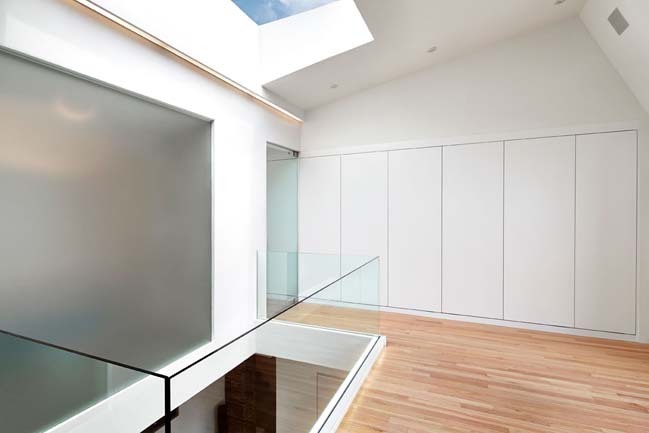 The central skylight provides natural daylight to every room due to the transparency of the design.